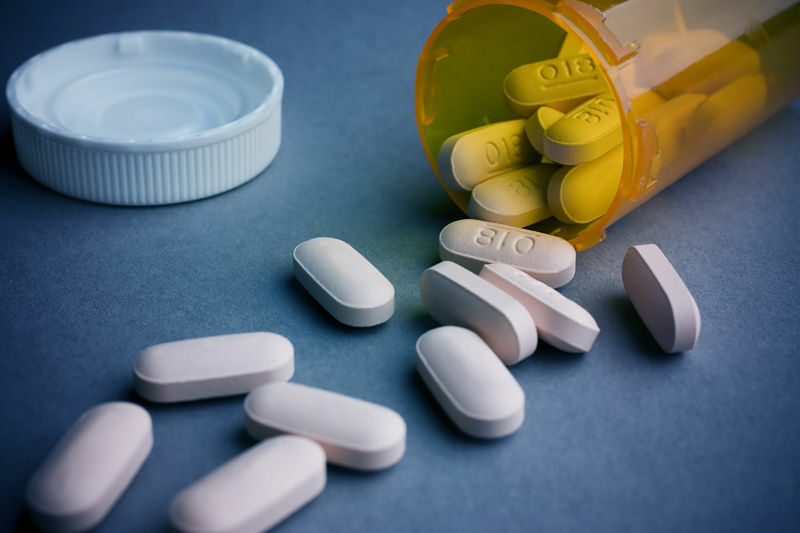 With the opioid crisis gaining more and more attentions researchers are scrambling to find medications that can help those who are suffering from opioid addiction. The two top medications that are having the best results are naltrexone (Vivitrol) and buprenorphine-naloxone (Suboxone). Both appear equally safe and effective according to a new study done by the New York University School of Medicine’s departments of medicine and population health. Researchers at the New York University, led by Dr. Joshua Lee, an associate professor there, conducted a head-to-head trial of these two leading addiction treatments and found that the newer drug, naltrexone, was very effective in preventing relapse and overdose in patients addicted to heroin and was equal to buprenorphine in its results. In the face of the unprecedented opioid crisis in America, the New York University of School of Medicine, like many other researchers around the country, began the study in hopes of finding safe and measurable treatment options for those addicted to heroin and other opioids. Dr. Lee and his team hope that this study will reassure patients and health care providers that naltrexone is a safe alternative treatment for helping patients break the cycle of addiction. The study was funded by the U.S. National Institute on Drug Abuse. According to the U.S. Centers for Disease Control and Prevention, overdose deaths from the use of heroin and prescription opioid painkillers like oxycodone (OxyContin) have now claimed more than 300,000 lives since the year 2000 and this medical crisis is now reaching the ears of the American government with President Donald Trump declaring that the opioid epidemic is now a public health emergency. He has even gone so far as to donate his third-quarter salary to starting a public opioid awareness campaign to address the crisis. Both of the anti-addiction drugs, naltrexone (Vivitrol) and buprenorphine-naloxone (Suboxone), work by curbing the desire to get high. The difference is that naltrexone, which is a monthly injection, requires patients to detoxify first, making it a less attractive treatment option for some addicts because the have to go through withdrawal before actually being able to start the treatment. Naltrexone works as a narcotic blocker. It is not a substitute narcotic and those who use naltrexone are off opioids entirely. Buprenorphine works and is administered by an entirely different method. Buprenorphine is a daily pill and begins working immediately without the need to detox before starting treatment. Buprenorphine works in the body similar to methadone and acts as a replacement for the heroin, amphetamines or opioids, however, it too has a downside. Because it replaces the opioid in the body, Buprenorphine also has the potential for abuse and patients can develop a dependency on it, even to the point of experiencing withdrawal symptoms if they stop using it. Naltrexone on the other hand does not have these same issues, however, the study showed that if the patient stopped using the Naltrexone, the odds of them becoming drug-addicted again were much higher. All of the drugs mentioned should be used under professional care in an inpatient rehab clinic. There are specific rehabilitation centers that accommodate medically monitored detox programs– these should be looked at first. Researchers across the country all agree, that treatment with either drug will help to reduce the extreme number – 60,000 yearly – of overdose deaths that we are not seeing in this crisis. Those seeking treatment options should not hesitate to use either of these medications when offered by a professional treatment center. A treatment center will consider many factors of both of these studies to determine which treatment will work best for each patient. Dr. Lee points out that these findings must rest on the assumption that the patient is motivated to get treatment and be off opioids. To test at NYU included 570 addicts who either took naltrexone or buprenorphine for 24 weeks. Eight out of 10 were addicted to heroin. The study was conducted in eight community treatment centers across the country that are affiliated with the U.S. National Institute on Drug Abuse Clinical Trials Network. Conducted from 2014 to 2017, they began recording the relapse rates six months into the study and found that they were similar with a 52 percent rate of relapse with naltrexone and a 56 percent rate with buprenorphine. They found that the craving for narcotics was lower with naltrexone however, by the end of a 24 week period, the rates were pretty much the same for both treatments. The big difference was noted with what is known as the “detox hurdle” where there was a much more significant problem for the naltrexone group as twenty-five percent of the group were unable to complete the detox process that was necessary to complete before starting the medication. The findings showed that In comparison, only 6 percent of patients were unable to start buprenorphine. Not unusual to the pharmaceutical culture America both drugs can be quite expensive and without insurance, can cost anywhere from $600 to $1,200 per month, however, many insurance companies have policies that cover the cost of these medications including Medicaid and Medicare. Cost being aside, many agree that these drugs are being underused in the fight against drug abuse and that there should be more access to these medications. Jonathan Morgenstern, an assistant vice president for addiction services at Northwell Health in New Hyde Park wasn’t involved in the study but said that in his experience many doctors have been opposed to using medications to treat opioid addicted patients. However, he believes that these ideas are changing and treatment providers are trying to adopt these new medications as a part of their routine treatments. Along with new treatments for patients, support services are needed to help with ongoing motivational care and other preventative care to prevent relapses. Funding for ongoing care is very limited, according to Morgenstern, but he is hoping with the new attention being put on the opioid addiction crisis that that is changing. Making up your mind to get into a drug rehab center is an excellent way to get rid of your addiction. That said, it is important that you choose your rehabilitation center carefully – more than half of people who go into rehab end up going back again and it is not because they all fail at giving up their bad habits – in many cases it is because they end up in rehab centers that don’t fully support rehabilitation and healing. The first thing you have to admit to yourself is that at the point when you decide to go into a rehab center you are not in the best state of mind to choose the best one. Many people only come to the decision to seek help after they hit rock bottom and this can affect their judgment. If you want to find a rehab center that can truly help you it is important that you seek the help of friends or family or even professionals. If you don’t feel like you can talk to anyone in your family or circle of friends there is no reason why you cannot approach a trusted healthcare provider – they are aware of the best rehab centers that focus on opioid addiction in your area and they will even put you in touch with other professionals who will help you with your recovery. There are two types of rehab options that are available – inpatient rehab and outpatient rehab. The one that you choose will be based on your needs, but it is always advisable to start with inpatient drug rehab especially if you are dealing with substance abuse – it will help you stay away from drugs and alcohol and you will be treated for withdrawal in a safe environment. After a few weeks you can then move to an outpatient facility for treatments several times a week. It is important that you look into the track record of any rehab facility that you have in mind. What is their success rate when it comes to curing people of their addictions? How many of their patients come back and if they do, how many times? There are many rehab centers that have patients coming back multiple times and this is a sign that they aren’t very good at curing addiction. Online reviews can be quite revealing in this regard. It also helps to talk to someone who has been treated at the same rehab center – you can discuss your challenges and how to safely overcome them while treating your addiction. Are We Really Fighting The Opioid Epidemic? Multiple news headlines have referred to the United States fighting an opioid epidemic. Truth it, there is little proof to that. As a matter of fact, we are seeing quite the opposite. Most people who care about addiction and the opioid epidemic are under the impression that the checks and balances that are imposed by the federal government play a role in assisting that opioid are not abused. One would be led to believe that – but we have seen huge misses on the part of the government to crack down on pill mills. Recently a Doctor in Oklahoma was charged with five counts of second degree murder because of the excessive amounts of prescription drugs she prescribed. One might think that the fact that she was eventually arrested and charged, leads us to believe that the pharmacies or the responsible parties for monitoring drug prescriptions did there job… That is simply not the case. She was only caught because of a concerned, former patient reported her. How can this happen? How does one Doctor, in Midwest City Oklahoma prescribe (and have filled) over 3,000,000 doses of heavy narcotics without any oversight structure? Although the Doctor has been charged with 5 counts of second degree murder, at least 10 of her patients have died within the time of her prescription writing binge. These are patients that were directly under her care. What was the death toll for other people in the small community? With such a massive amount of drugs being prescribed and filled, in such a short time in a small area, one could only guess at the repercussions of over 3 million prescription pill hitting the streets. Are We Really Fighting Opioid Addiction? For many of the good people working hard in the drug and alcohol addiction recovery industry, this is very upsetting. Although one could argue that drug rehabilitation centers have a vested interest in keeping America heavily medicated, most drug and alcohol rehabs find this information repulsive. There are alternative ideas for addiction treatment such as Therapeutic Communities – which get very little attention in the mainstream media. Pay attention to the laws in your state. Call your Congressional Representative when you see a bill to be passed. Many drug rehab centers offer public outreach which can have a tremendous impact on your community. Drug addiction is at an all time high in America. There are huge physical and mental costs attributed to addiction. For most people, a drug rehabilitation center is the only way to get sober. Drug rehabs are facilities set up in the society that provides help drug addicts to recover from their addictive habits and be ready to go back to the society.. This is done in a way that will not affect the patients’ health. For this rehabilitation facilities to be completely effective, the patient should have a relentless desire to recover and change for the better. Drug rehabs range from different types. For some rehab, they offer rehabilitation against a specific drug while for some they offer rehabilitation for a wide range of drugs. In other instances, some rehabs are based on gender basis while others regarding age. For all these kinds of rehabilitation centers, there is a variation between inpatient rehab and outpatient rehab. For the inpatient rehab, the patients set camp in the facility for a certain length of time depending on the set time of the center and the recovery of the addicts. This inpatient rehabs offer a stable environment where there is maximum monitoring of the patients in the period of withdrawals and recovery. Their medical state is also carefully monitored. It also helps the addict to have a chance to interact with other addicts and learn from them and be able to realize that they are not the only addicts or affected persons. With outpatient rehab, is basically found on the basis of that the patients are addicts of either mild substances, or easily manageable addictions or addicts who are not willing to reside in the rehabilitation centers and are allowed to go for drug rehab and yet be able to stay with family and do carry on with normal life. When it now comes to choosing the right rehab for yourself or someone else several factors come in handy. One, you have to identify the drug in abuse and the state of the patient. Secondly, you have to identify if the patient (either you or someone else) is willing to undergo drug rehabilitation. With this information in handy, you can make an assessment and identify the best type of drug rehab for the addict based on the identified types. For accreditation of the drug rehabs several organization are involved with the accreditation of rehabilitation centers i.e. CARF (Commission on Accreditation of Rehabilitation Facilities) and The NAATP – National Association of Addiction Treatment Providers). For many, a rehabilitaion center is needed to save their life. With the knowledge of drug rehab, inpatient rehab, and outpatient rehab and the different types of rehabilitation centers, it is easy and reliable to get accredited drug rehab centers for patients that you know and want to find help for them. Many people have been prescribed benzodiazepine’s at some point in their lifetime, and addiction to this class of drugs is common. 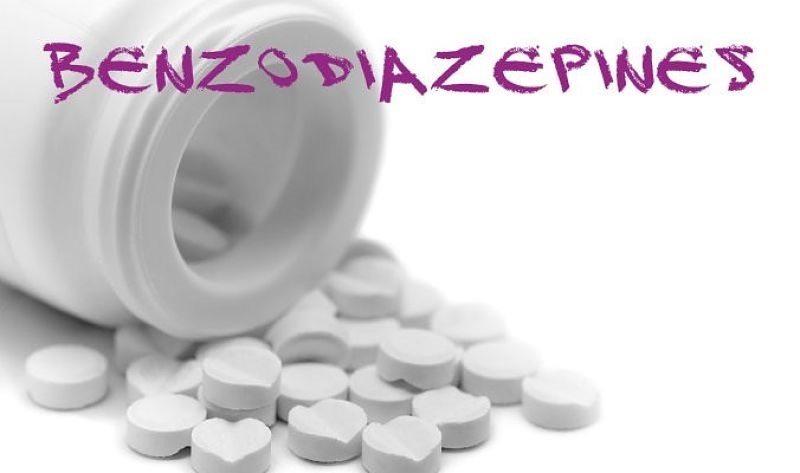 Benzodiazepines are a class of drugs used for treating anxiety and other psychological disorders. The exact mechanism of how this class of drugs works is not known, but it seems to work by affecting the neurotransmitters in the brain, the chemicals released by nerves in the brain in order to communicate with other nearby nerves. Scientists believe that benzodiazepines work to reduce the activity of these nerves that cause anxiety and other psychological disorders in the brain and spinal cord, specifically enhancing the neurotransmitter gamma-aminobutyric acid (GABA). GABA is responsible for reducing the activity of these nerves in the brain. 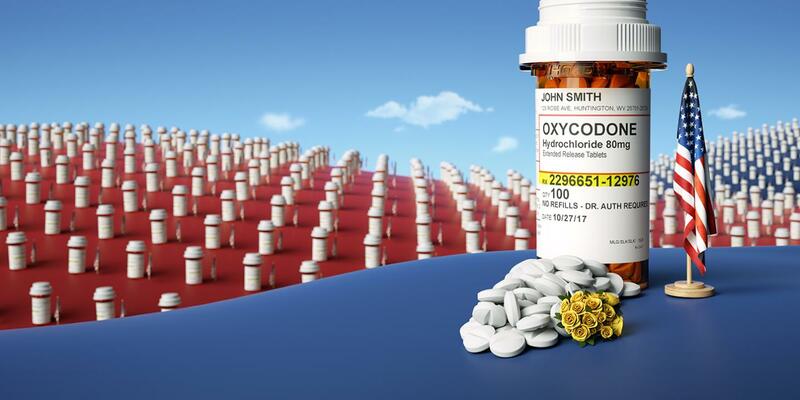 Xanax, was the 13th most prescribed medication in the country in 2012. Misuse of these drugs can lead to psychological and physical dependency. It takes more and more to work, making the drug seeker go to extreme measures to get more. 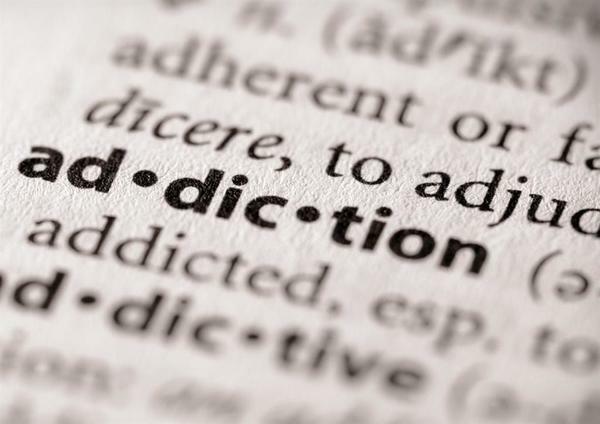 This addiction can lead to doctor shopping, buying the drug illegally on the street and crimes to support the habit. These drugs are not prescribed for long term use because of the high probability of addiction. Many patients are admitted to Rehabilitation Hospitals for inpatient rehab for addiction to benzodiazepines. There are also outpatient programs to treat patients who cannot stay long term in an inpatient program. Results vary from person to person on the long term recovery from the addiction to this class of drugs. Many people will not kick the habit on their own from benzo abuse because of the severe withdrawal symptoms they will suffer. Inpatient and outpatient rehab hospitals can aide in the withdrawal symptoms, giving the addict the best chance for recovery. The symptoms vary from person to person, based on length of abuse and one’s own chemical make up in the brain. Family history can even play a role in addiction. Quitting a benzo “cold turkey” can be more than uncomfortable, it can be dangerous. It is recommended to use a medical detox within a professional drug rehab program. A medical detox typically uses a tapering method, and with professional care, the withdrawal symptoms can be less severe. If you feel like you have an addiction to benzo’s or any other drug, contact a drug rehab facility, or your physician, before you stop taking any medication. Being successful in recovery can be very challenging and requires a ton of effort. For a lot of people, maintaining sobriety is extremely challenging. 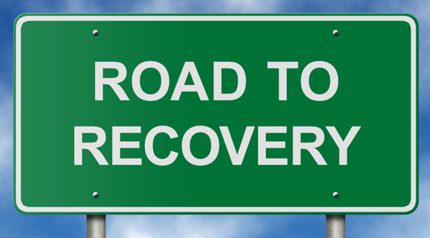 Many people relapse after leaving a drug or alcohol rehab. There is a huge mental and physical cost to addiction and long term sobriety is challenging. Obviously, the most crucial step is ending the substance abuse itself, but that isn’t the end of the road. Recovery is lifelong and is a choice you will face every single day, which makes those recovering extremely vulnerable to relapse. –Drug addiction changes the chemistry of your body and brain, and you may find yourself struggling with anger issues when recovering from addiction. In most cases, the anger is a normal part of life, but for recovering addicts it can quickly lead to relapse. – Sadness is another normal emotion, but that may be made worse by those who are recovering from drug addiction. Because of the changes in the brain, it can take a long time after stopping drugs for your body to regain some balance in emotions. Those recovering must learn to manage these emotions and create a routine and healthy lifestyle. – Often times those who are on the path to recovery find themselves wanting to spend time with the friends they had while on drugs. Usually, those people are also using drugs and this can be very dangerous. People want to fit in, they want to please, and they often give into temptation—and giving into that peer pressure can ruin some people’s chances at full recovery. – Negative emotions can easily trigger relapse to drug use, but so can happy or joyful emotions. Exciting events in life usually are cause for celebration—it’s hard to celebrate as the ‘new’ you when the ‘old’ you would have used drugs as celebration. – Making mistakes, being stressful, having boring or dull days is a commonplace thing for everyone. But for those struggling through recovery, your mind might be quick to jump to the desire to take drugs again because you may think that will relieve your stress or boredom, or make you forget those mistakes. All of these struggles are common, not only for everyone but especially for those who are recovering drug addicts. You must learn to understand who you are and how you feel, and learn to cope with those feelings. You have to strive to develop ways to do things without going back to using drugs.